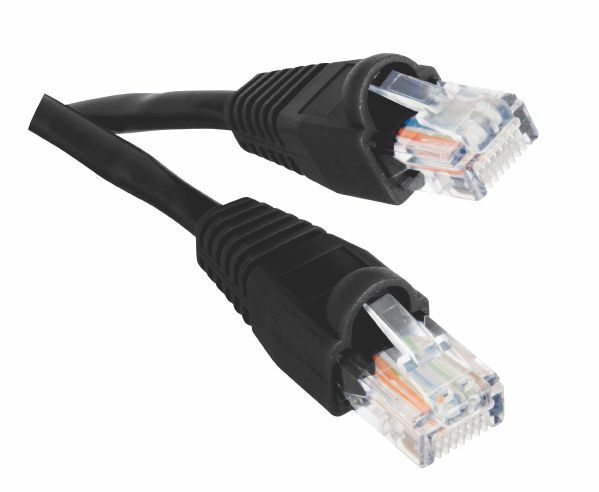 CE Tech High Performance CAT6 UTP Patch Cable upgrade from Cat5 cabling in your 100Base-T or Gigabit Ethernet network Ensures clean and clear transmissions. snag less boots for easier installation. Digiwave CAT621100B CAT6 500Mhz Network Cable is uses for connecting a PC, Mac or network device to 10/100/1000 Ethernet networks. Gold-plated copper contacts on the RJ45 male to male connectors provide excellent conductivity for accurate high-speed transmissions. Constructed with high quality material to protect the RJ45 plug of the cable from damage during installation. Digiwave CAT621050G CAT6 500Mhz Network Cable is uses for connecting a PC, Mac or network device to 10/100/1000 Ethernet networks. Gold-plated copper contacts on the RJ45 male to male connectors provide excellent conductivity for accurate high-speed transmissions. Constructed with high quality material to protect the RJ45 plug of the cable from damage during installation. 3 ft. CAT6 Patch Cord in Black CE Tech High Performance CAT6 UTP Patch Cable upgrade from Cat5 cabling in your 100Base-T or Gigabit Ethernet network Ensures clean and clear transmissions.